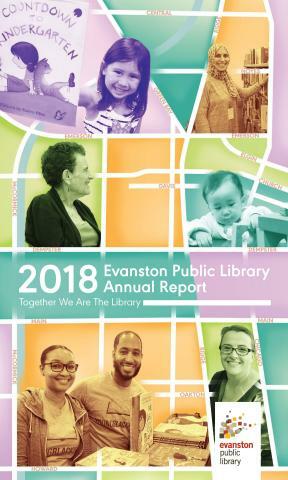 For National Library Week, the Evanston Public Library has released its Annual Report online in English and Spanish. Next week the report will mail to every household in Evanston. We tell the story of our Library's year using a colorful map of Evanston to show—ward by ward—some of our most important work for 2018. The work we do throughout Evanston would not be possible without our 175 community partners. This report focuses on just a few of those partners and the work we do together to meet the diverse expectations and needs of Evanston residents. In 2018, we released the results of our Equity, Diversity, and Inclusion (EDI) assessment so we turned the spotlight on work in those areas. To learn more, please view our Annual Report. Please contact Jill Schacter at jschacter@cityofevanston.org for more information.